I've never heard of it and probably for a good reason, haha. Aukey? Yes. But Aulker, never. I think Anker holds its own in the accessory market. Kind of like an OEM vs. Aftermarket type deal. i have one Aukey product which fits a problem Anker doesnt which is this folding prongs super small dual socket 12W charger, I carry it when I'm going for a long trip with minimalist packing as a spare/backup. I am really adept now at multi-day minimalist independence. I own a few Anker's and Aukey's, I think Anker products are more quality and Aukey's are more durable, but their both very much the same. Aukey is like Anker only in the mobile accessories department. A lot of their other products are rebranded generic items. I own Aukey cables, but some of their chargers really interest me. This one is an EDC for me for when I'm moving a lot on a long day or overnight when I expect to have access to mains sockets through the day. it is very light so it doesn't fall out so often in worn power sockets like hotels, airports, airline in-seat. two sockets so whilst its only 12W it does usually a mobile and say a BT headset. I defensively recharge, if I'm near a power socket I use it regardless of battery levels because "why not" so I'm prep'd for whatever is happening next. Anker just don't anything like it. Everything Anker is basically huge in comparison with more Wattage. So I just ordered the Powercore Fusion 5000 and guess what, it will replace likely the Powercore Slim 5000 and still sit with the Aukey so then I got 2 chargers, and if the mains sockets is constrained (narrow, or loose) the Aukey will be charging Anker. I'm not sure I want Anker to make an equivalent, if they did it would need to be (somehow) better. 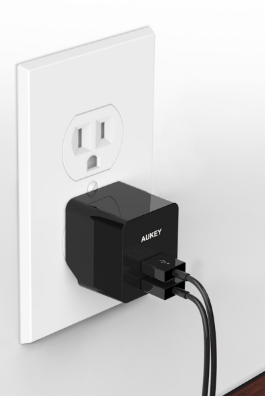 I like the Aukey mini wall socket with the folding plug. I just wish there was something similar w/ QC capability. There probably is but QC chargers from Anker are physically bigger than Anker non-QC chargers so I expect you'd ruin its smallness. It isn't really about being quick charging, its more about opportunistically power when you happen to be near mains and often its places like in desks or airline under-seat which all struggle with anything big or heavy. The Aukey one is only 12W. But in the example of a flight you're usually in a seat for more than hour so that usually fully charges a phone anyway. Thanks for sharing this, I think we all have our strengths in different aspects. Any chance of you releasing something like that 2 port, 12 watt Aukey Charger? It’s perfect for overnight trips when all you’re brining is an iPhone and an Apple Watch. The Apple Watch draws a max of .35 amps so it’s perfect for getting a quick charge for both devices at a very compact size. No, we have our own suppliers. I also like the Aukey 12W 2 port and carry it as a spare backup, it does get hot though so I figured it would fry so its backup not primary. Primary is Anker 24W or 40W. 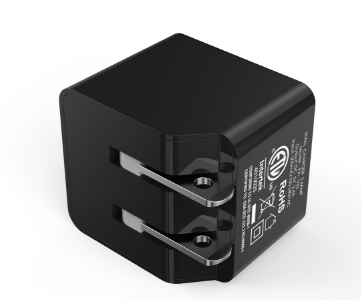 Anker does make a "lite" version in UK, which if they made with a swappable UK, US, EU plug would get my money. I had a power bank aukey of 20100 mAh (model PBN 57) was very big and heavy. I did not like it very much because I found it uncomfortable to take it with me. Then I had the power bank of anker (the powercore 20100 mAh) much smaller, and a little lighter, with even better appearance. finally I opted for anker! I have a aukey powerbank whilst heavy it has served me very well over the last 12-18 months no quality issues. I also have a few Anker chargers for the car and multi charger and both have been good. They seem very similar to me interms of products offered and quality so much so I mix them up! I had an Aukey power bank once... It always heated up, and I eventually just started using it as a hand warmer. Note- I did use it as a hand warmer. It died. Long live Anker! I’ve looked at aukey on amazon as well. The tech specs for their products looks very similar to Anker, but their designs look very boxy. Anker has more curve appeal. Aside from astectics, I choose Anker due to more feedback and good reviews. I stay with Anker because out of all the power products I’ve bought they are the ones that last and are still functional at a reasonable acquisition price.